If you spend much time traveling across Oregon this month, you will begin to see and feel the early signs of the changing seasons. 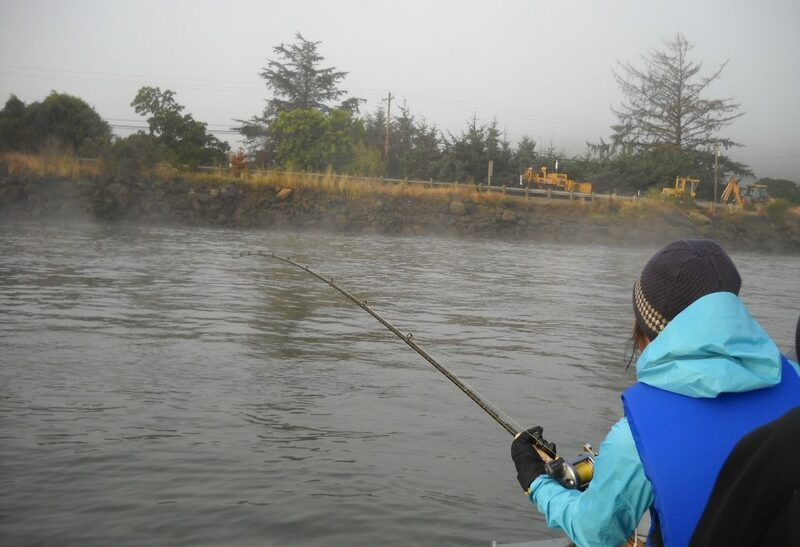 For me, one of the surest signs of transition from summer to fall is the many places you might cast a lure or drift bait for salmon along coastal Oregon. 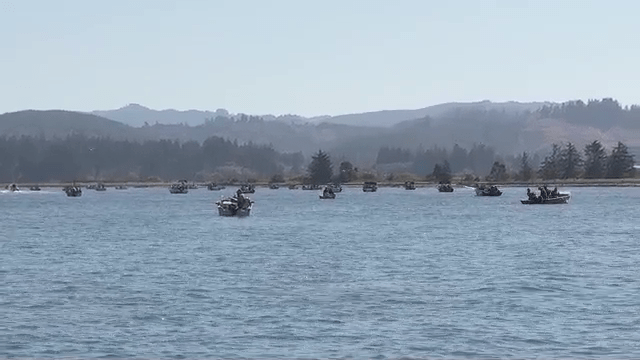 There’s a unique fishery on the Southern Oregon coastline at Coos Bay, where a community’s determined effort and strong commitment has made a difference in restoring a nearly extinct salmon run. 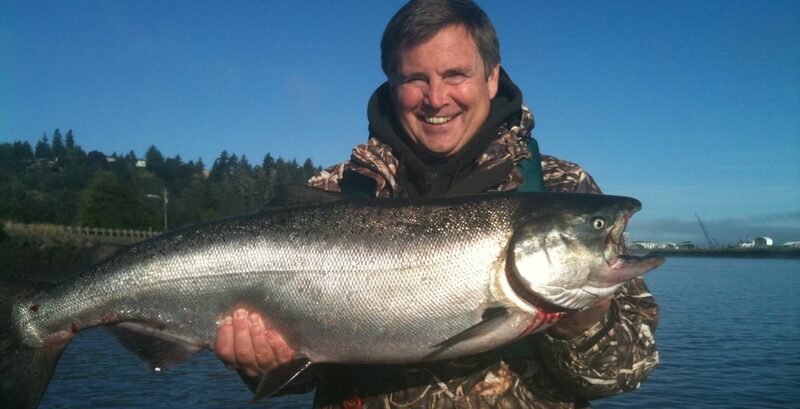 Coos Bay’s waterfront streetlights sparkle when you join longtime guide Rick Howard on a first light fishing trip in September. It takes only a few minutes of travel across the smooth estuary in Howard’s comfortable 25-foot boat to reach the salmon-rich water that is marked by fog-shrouded silhouettes. The silhouettes are fishermen, and with their fishing rods bent over and their nets flying high, they are a sure sign that eager salmon are on the bite. If you want to catch one, noted the longtime fishing guide, you must prepare a “plug cut” herring for bait, thread it onto hooks that are tied to a five-foot leader secured to a brass swivel with a four-ounce lead sinker. The tackle and terminal gear must be trolled just off the estuary bottom with the falling tide. Or – if you lack the skill and experience – sign up to join Howard for a day on the bay. 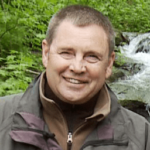 Then you can watch in awe and admiration as he scans the waterway for safe passage, deftly handles his boat through watercraft traffic and prepare the baited rods for you and your fishing partners. There’s good reason to be proud when you consider the Coos River watershed’s legacy of poor salmon habitat. The habitat was stripped from the streams by old logging practices called “splash damming.” In a splash dam operation, temporary wooden dams collected the logs and then in a heartbeat, the dams were broken open to quickly move the big wood downstream to reach Coos Bay’s lumber mills. The splash dam era began in the late 1800s and didn’t end until 1958. Nearly a century later, Rumreich said the damage to salmon runs was devastating. But today it’s a different story; more than 3,000 STEP volunteers raise more than 2 million baby salmon each year. The adult volunteers work with school children to help capture and spawn the adult fish; then each spring, volunteers remove the adipose fin that marks each fish’s hatchery origin. The Coos Bay STEP project is not only a hatchery program, but funds and provides manpower for river habitat restoration projects too. The varied projects help restore the rivers so that wild salmon get a boost to increase natural salmon spawning production.